It's that time of year again: SALT LAKE COMIC CON time!! This is one of my absolute favorite cons of the year. 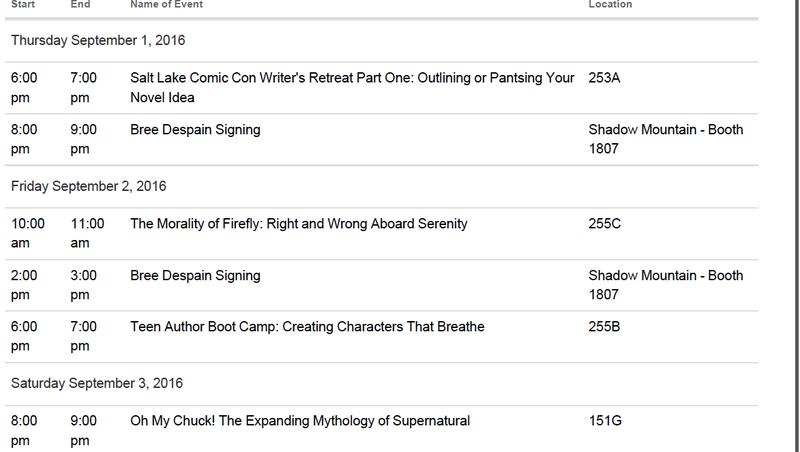 I am especially excited to try to get into the Mark Hamill panel on Thursday. Star Wars nerd FOREVER, baby! Winner of THE IMMORTAL THRONE Cover Reveal and ARC GIVEAWAY!!! Contest is now closed and we have a winner! Catie Skola... come on down! Da da da duda da daduda da (insert price is right music). Congratulations, Catie. Please claim your prize within 30 days by emailing me at readbree@gmail.com with your shipping address. THE IMMORTAL THRONE Cover Reveal and ARC GIVEAWAY!!! So do you want to see the cover? Hey peeps! 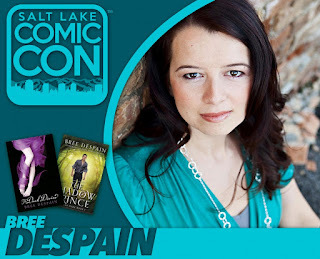 Salt Lake Comic Con starts tomorrow, so I thought I'd let you know where you can find me. 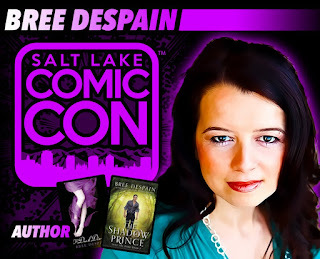 Speaking of Salt Lake Comic Con . . . The organizers of SLCC have put together a charity anthology called HEROIC: TALES OF THE EXTRAORDINARY. (All proceeds benefit the Aaron Allston Foundation--a group dedicated to helping struggling writers and artists get the medical help they may not be able to afford.) SLCC asked me to contribute an original story to the anthology, and since I get so many requests for more information about what happens to Daniel and Grace after THE SAVAGE GRACE, I decided to write a DARK DIVINE spinoff story for the anthology. The story is called "How to Babysit a Werewolf. (And Other Perilous Deeds I Don't Recommend.)" If you've been wondering what happened to Grace and Daniel, this story will give you a fun little glimpse into their future lives. 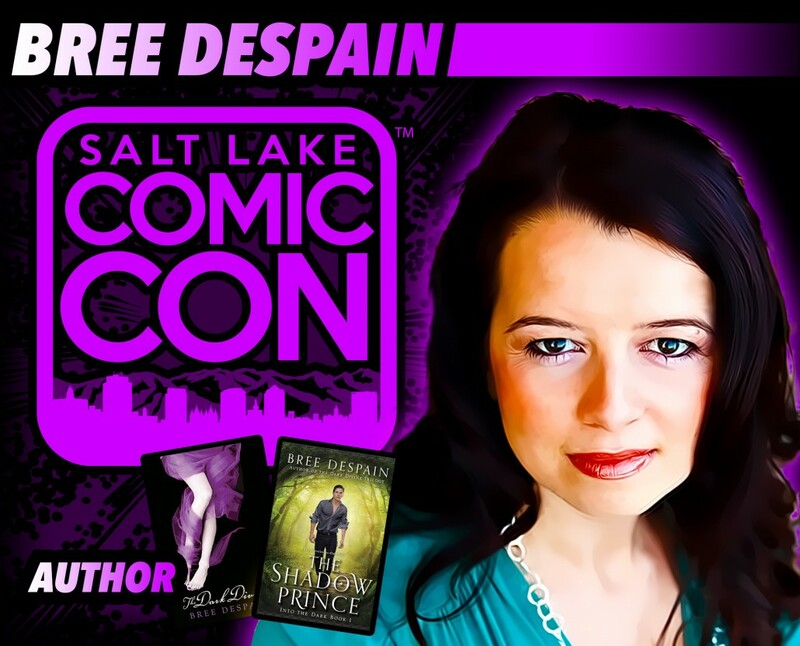 Right now, the anthology is only available for attendees of SLCC, but I am told it will be made into an ebook that will be sold to the general public soon. 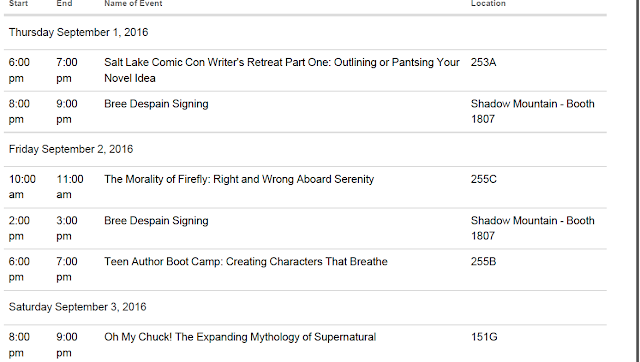 If you're going to SLCC and want to preorder your copy now, go HERE. Otherwise, stay tuned for more info on when the ebook will be available. If you follow me on Instagram or Facebook, you may have noticed that I've been up to something that has nothing to do with writing. And now I am announcing my new adventure--or new "avenue." I've been a very busy bee lately--not only did I spend the summer finishing the manuscript for Into the Dark 3, I also spent it getting my new business ready to launch. My sister and I are so excited to introduce you to our Instagram Boutique, Avenue Be. Our focus is on women's clothing and accessories--and we hope to add children's clothing in the future.